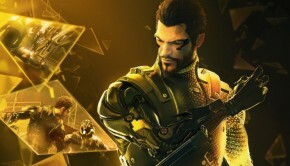 The world of video game audio is ever expanding, constantly influencing future generations of young musicians to take arms and create their own music and remixes. Audio for Games: Planning, Process and Production is a reliable tool for composers, sound engineers and audio personnel of all levels of experience to use. 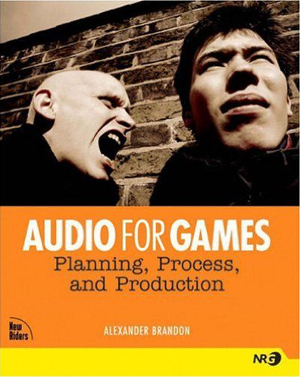 Audio For Games is written by Alexander Brandon, an established game music composer and trusted source whose work spans many generations of gaming. His lead roles include Tyrian, Unreal, Deus Ex, Alpha Protocol, and Neverwinter Nights 2. If you dream of creating game audio but don’t know where to start, other than playing as many games as you can and writing some music, Audio For Games is a great place to start. Although it was published in 2004 and the technology discussed is mostly out of date, there are many bits of advice on how to plan a project, hold productive meetings, and piece together parts of a project. Brandon states very early on that even the audio department is very much part of the development process. This is true, as this text makes it clear that music has just as much influence in making a game stand out as the graphics or storyline does. I will say upfront that most of the software and technology discussed in the text is out of date by almost 10 years. At the time, it was one of the first publications of its sort, but similar books have been produced in recent years by Karen Collins and Winifred Phillips that give a bit more of a current perspective. That said, the book is still relevant beyond its historical influence. Brandon goes into plenty of detail about what kind of software is appropriate for what kind of task or scenario. He covers the many pitfalls and setbacks and awkward conversations that anyone working in the industry will want to avoid, and also provides a professional opinion of how meetings, schedules and collaboration between departments should be handled. There are plenty of charts and graphs to go along with written explanations, ensuring it is much more than a 101 class filled with endless Powerpoint slides. Brandon gives somewhat exaggerated examples of how meetings and interactions between team members can go sour. These examples can show anyone, amateurs and veterans, how important word choice and syntax is during meetings or professional conversations. Really, anyone who wants to get a job and work in the real world should be able to learn something from these example conversations. Brandon gives plenty of explanation as to why effective communication is important and how it relates to a fun end product. Whether you are working out a schedule with a publisher or editing a weapon sound with a programmer, professional back and forth seems to be just as important as knowledge of your field. Even members of a development team who do not make audio should get their hands on this book, as it is important to know what is happening at the audio end. It is kind of like a percussionist waiting in the back of an orchestra listening to the violin cadenza while watching the conductor, ready for his entrance. 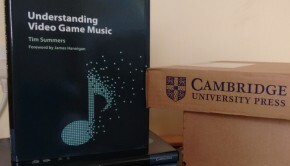 Any member of the orchestra must be aware of what the other is doing for an effective performance, just as members of a game development team must be aware of each department and what the people in that department do for the game. Communication is imperative for an orchestra and development team alike to create an enjoyable gaming experience. On the other hand, Brandon expresses the importance for composers and audio developers to learn how to integrate and edit sounds with voice acting and actual gameplay. Chapter 8, Ideal Technology covers ways to integrate created sound into a game environment. This might be a tricky read for people who are rooted in composing but not too savvy with computer science. Brandon attempts to ease you in to the software side of audio development; just keep in mind the software mentioned is out of date. Scary to think about for someone who might be writing music with a pen and manuscript paper. I can imagine it would be fun to learn to put music to ready made cut scenes and environments. Sticking to a schedule, assigning tasks accordingly and integrating separate parts of a single project seamlessly takes team work and dedication. Alexander Brandon cannot teach you to have good work ethic or great people skills, but he can certainly guide you in the correct direction, as well as provide tips and tricks along the way. Some of my favorite tips were what to ask from a programmer who is say, for example, working on designing enemies or a level. Asking for a drawn out model of the object in need of audio is a brilliant idea and can offer potential for deeper development. The example on page 110 is a sketch of an enemy with a written description of its name, how it moves, how it attacks and additional comments that might spark an audio designers or composer’s imagination. This example makes me want to draw out my own enemy or character and create sounds for it… just for practice. Chapter 7, Ideal Production, provided solid information in regard to the production process of music. The flow chart on page 143 offers some ‘real life’ examples of licensed musicians and studios. This chart truly questions what is needed and what is not necessary for a game and the options of the kinds of music a team has to choose from. This chart is known as The Fat Pipeline. This chart is based on what Brandon learned from the book The Fat Man on Game Audio: Tasty Morsels of Sonic Goodness, written by George Alistair Sanger; yet another book to add to your library of reference material. Brandon goes into some detail of how to set up a studio and even go through the rigmarole of hiring a live orchestra. Any one involved in game audio will have an easier time taking the leap to hire a musician after reading Brandon’s description of the rates and contracts for live orchestras and even licensed pop musicians. I’m not sure that hiring an orchestra will help a game sell any more than setting up a MIDI keyboard will, but you will certainly have a concise guide, just in case. The final chapter entitled Ideal Game Audio discusses what kind of music and sound effects are appropriate for what games. Brandon hits the nail on the head when it comes to knowing which kind of audio is needed for any given scenario, as he is clearly a veteran figure in the industry. 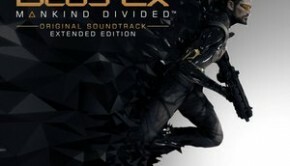 He is aware of the player’s role in the game and is very much about describing audio as helping immerse the player in the visuals. There are great bits of advice and chunks of information that can be applied to games for years to come. Brandon brings in some big names for a few interviews at the end of the book to discuss the state of game audio and where it has the potential to go. The chapters guide you through the various processes of integrating audio into a game from the brainstorming process to production all the way through ‘crunch time’. The text reaffirmed what I like and dislike about game music and gave me a solid reason why. I had a stack of post-it notes by my side as I read simply because there are many bits of advice that I might want to turn to quickly. Even if you are making a game all by yourself or with a few close friends, Audio For Games is worth a few reads. I believe this book offers insight to help bring the best out of developers and push them to focus on making a fun game for gamers to play. After reading, I felt empowered with knowledge and inspired to create my own sounds. The book is outdated now and in definite need of an update. However, it gives a unique and useful industry perspective that should be helpful to professional and amateur game sound creators alike. Posted on October 12, 2014 by Marc Chait. Last modified on January 22, 2016.